Today was a long day and my brain was completely shut down by the time it was over. I made a big push to get all the way to Springfield, Missouri today, but I honestly wanted to stop by the time I got to the end of Oklahoma. I only have the rental car for four more days and I don’t want to pay to keep it for any longer than I have to, so I’m trying to make as much mileage as possible each day. 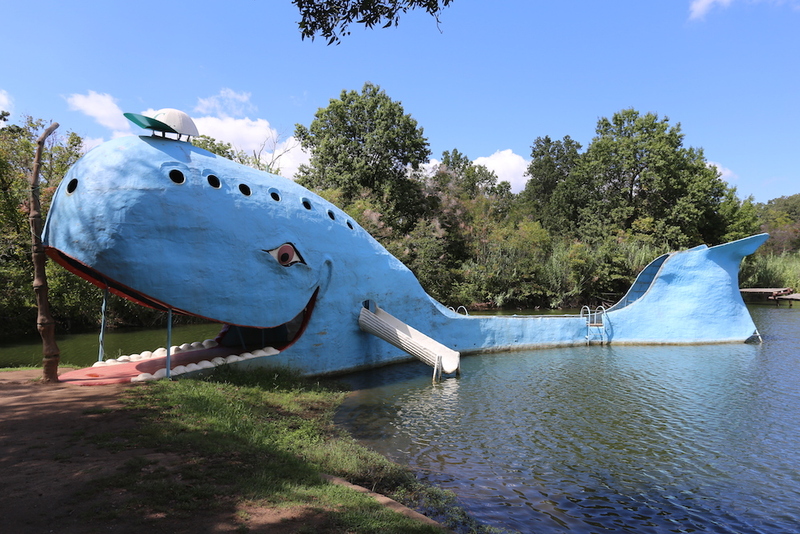 I liked Oklahoma because it had some of the best roadside attractions that I had seen so far. I also liked it because gas was insanely cheap. Most places in Oklahoma (and Texas) had gas for $1.99 and near Oklahoma City I saw one place that was $1.84. Too bad it’s not like that everywhere. My first stop today was at Pops in Arcadia, just East of Oklahoma City. Pops is a gas station, restaurant, and “soda ranch” all in one. 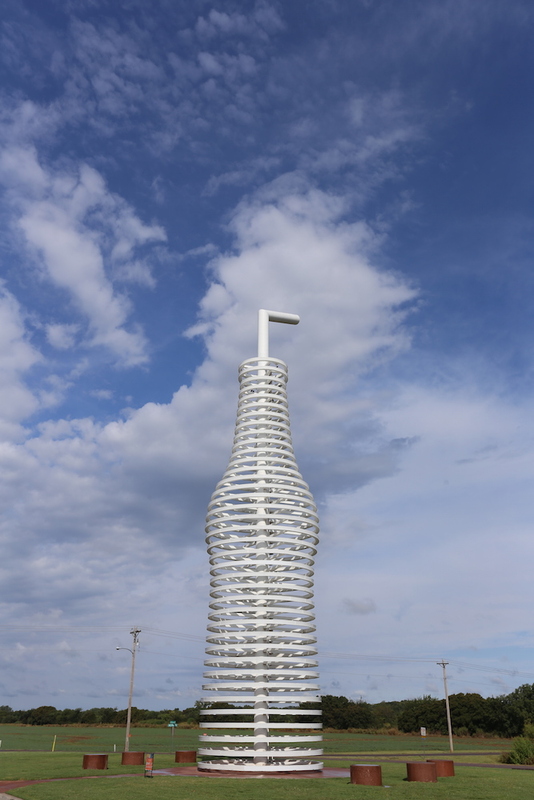 They’re well known for having the most soda flavors available anywhere – over 700 different kinds – and for their iconic, landmark soda bottle that just so happens to be 66 feet tall. 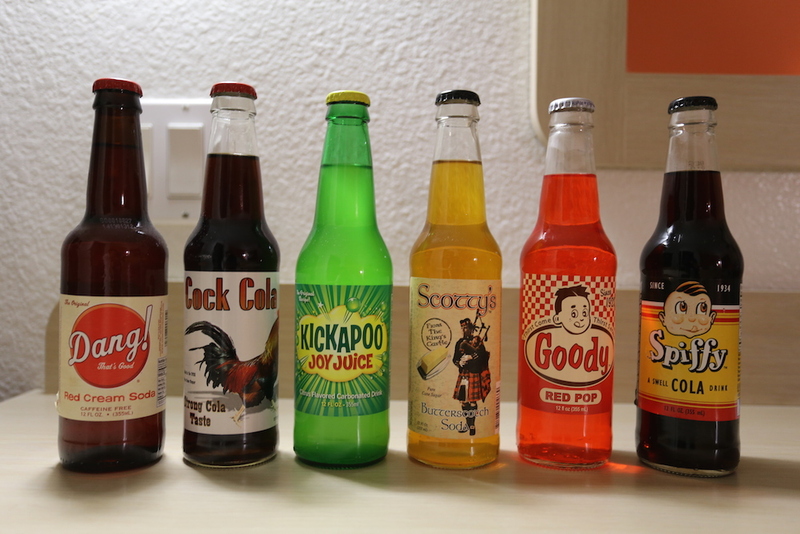 I couldn’t help myself from laughing at some of the soda names and I decided to buy a make-it-yourself six pack. I think the Kickapoo Joy Juice has the best name. 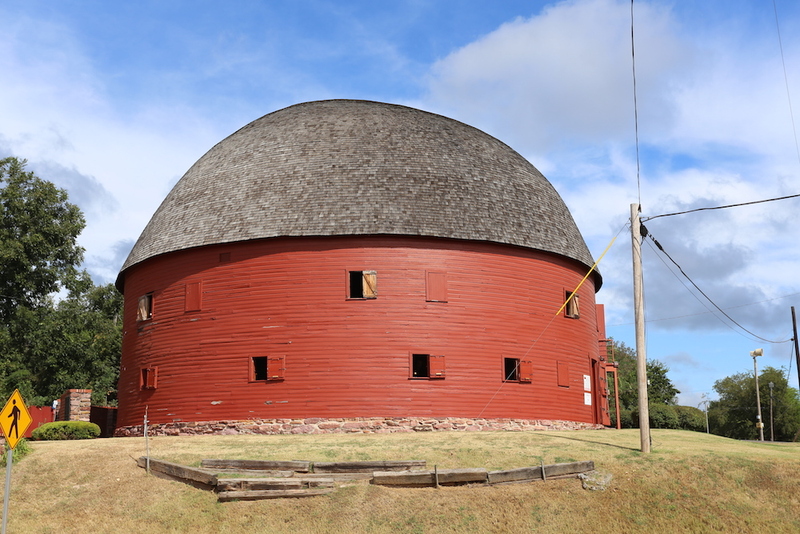 Not too far down the road in Arcadia is a rare, round barn that’s been there since 1898. There’s supposedly only 20 or 30 of these barns in existence anywhere. My highlight of the day was gonna be Tulsa, to visit the Route 66 museum, but as it turns out there isn’t one in Tulsa… yet. Somehow I got confused about its location and it’s actually back in Clinton (about 150 miles in the other direction). I feel like an idiot because I actually saw the sign for the museum in Clinton, but didn’t stop because I wanted to go to the Tulsa one. 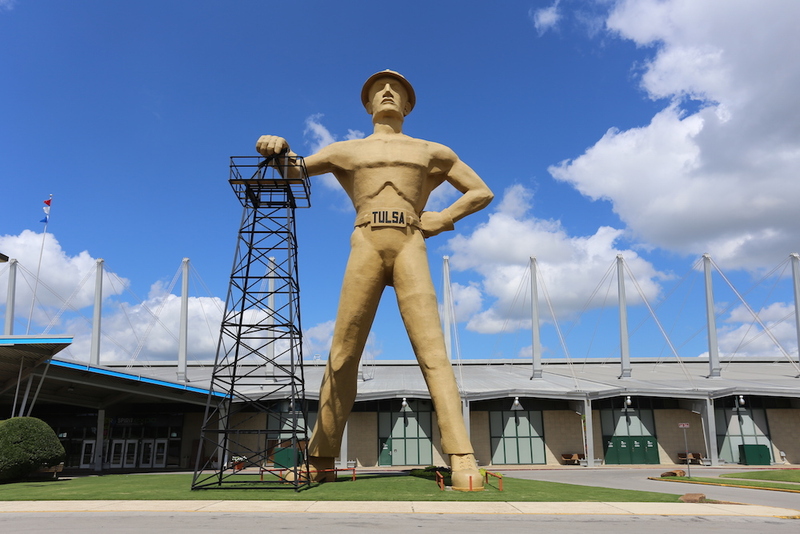 So, the only thing I stopped at to check out in Tulsa was the Golden Driller statue, which is the fifth largest statue in the US. 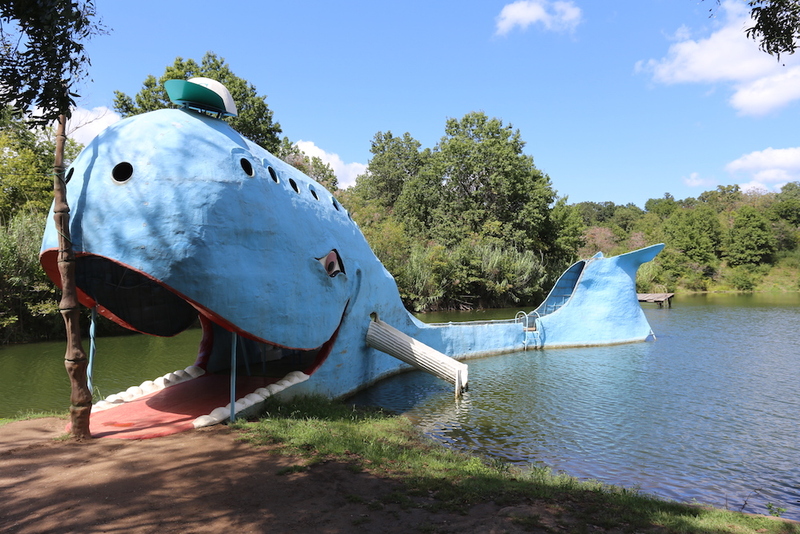 My last stop was at the Blue Whale in Catoosa. Next to Pops, this was the coolest stop of the day because of how random it is. It’s free to walk in and there’s a small gift shop at the entrance. The entire whale is a dock that you can walk on (and apparently fish from). You can also climb up inside the whale’s head and look out the port holes. I really enjoyed this stop. From there I drove to Springfield without stopping and had dinner with a friend. I passed through Kansas on the way, but there’s only 13 miles of Route 66 there and nothing I found worth stopping at.